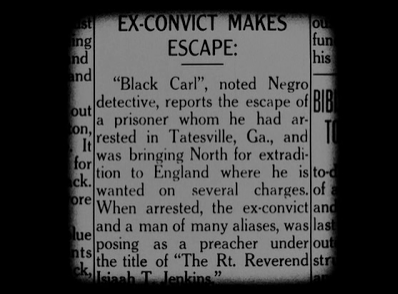 In Tatesville, Georgia, a prisoner being transported North for extradition to Britain, escapes and takes on the disguise of Reverend Isaiah Jenkins. With his fiery sermons, Pastor Jenkins gains many followers in the small town, including, Sister Martha Jane, the hard-working mother of a young daughter named Isabelle. Jenkins falls in love with Isabelle, even though she is in love with a poor young man named Sylvester, who happens to be Jenkins’ estranged twin brother. Jenkins is joined in Tatesville by Yellow-Curley Hinds, another criminal whom he knew in jail, and together they plan to swindle Jenkins’ congregation by selling liquor at inflated prices and taking the parish’s contributions. Martha Jane has been saving her hard-earned money, which she hides in a Bible, so that Isabelle and Pastor Jenkins can marry and buy a house. When Isabelle learns of her mother’s plans, she is horrified and calls Jenkins a drunk and a sinner. Angry at her daughter, Martha Jane leaves Isabelle alone in the house with Jenkins, so that he can save her soul. Jenkins steals Martha Jane’s money, convinces Isabelle to take the blame and flee to Atlanta, as her mother would never believe that her dear pastor was the culprit. After Martha Jane finds her daughter’s written confession, she forgives her and goes to Atlanta where she finds Isabelle ill and living in poverty. Before dying, Isabelle tells her mother that Jenkins took advantage of her and that he is the one who took the money. Martha Jane cradles her daughter in her arms, and shortly thereafter, Isabelle dies. 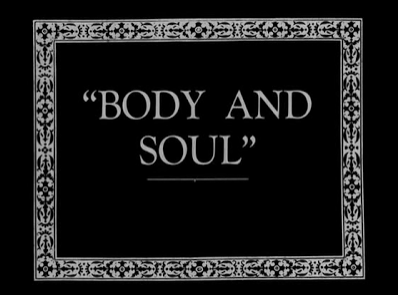 Returning to Tatesville, Martha Jane goes to the church where a drunken Jenkins is giving his “Dry Bones in the Valley” sermon to the congregation. Martha Jane publicly accuses Jenkins of being her daughter’s murderer, and the congregation turns on him. That night, Jenkins, hunted by bloodhounds, arrives at Martha Jane’s house and tells her that her pampering ruined him. When two church ladies arrive, Martha Jane hides Jenkins in the kitchen and sends the women away. Forgiven by his accuser, but unrepentant, Jenkins takes refuge in the woods. When he encounters one of his pursuers, Jenkins brutally kills the man. The next morning, Martha Jane awakens to realize that the events she thought transpired the night before were actually a dream. Although earlier Martha Jane had refused Sylvester’s proposal for her daughter on the grounds that he was too poor, she now offers to give the couple the money in the Bible so that they can marry right away. 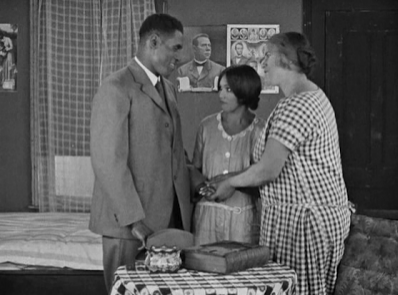 Best-known silent film of pioneer filmmaker Oscar Micheaux, offered the great singer/actor/athlete, Paul Robeson, his first opportunity in films. 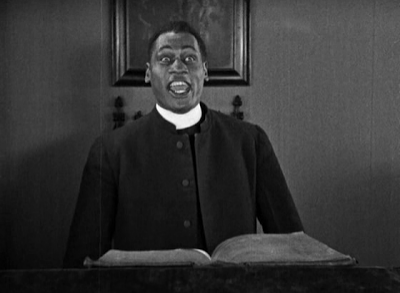 Although it was a theme that proved controversial with his audiences, Micheaux turned several times to the subject of corruption and dishonesty among the clergy. As part of the agreement to star in the film, Robeson received a $100 per week salary plus three percent of the gross after the first $40,000 in receipts.